Whether it's just you or a full carload of friends and family, get your bikes wherever you're going with a Thule bike rack – quickly, easily, and safely. If you're unsure which bike carrier suits you best, our Thule-trained staff will be happy to help you use the Thule Fit Guide. *excludes roof racks - please call for estimate and appointment. 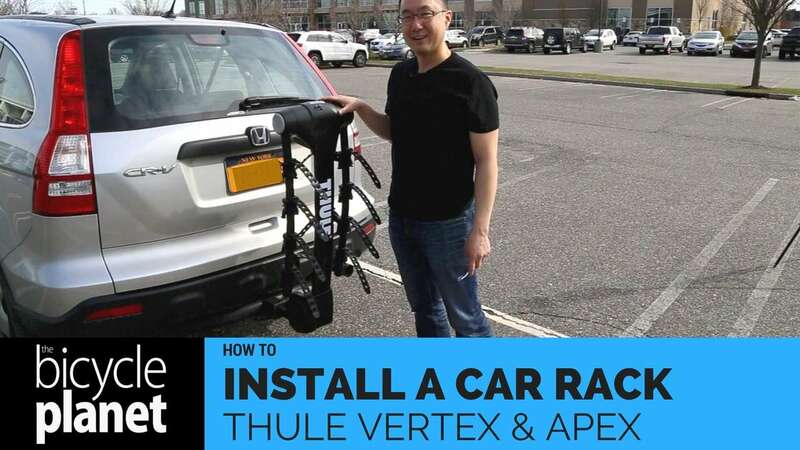 Thule's hitch racks are easy to install and use. These durable racks mount to the receiver hitch so no base rack is required. Multiple options available to carry 1 to 5 bikes. Please note that you need a car hitch (either 1.25" or 2" receiver) in order to install a hitch rack. A Thule roof bike rack carries your bike wherever you go. Let us help you find the ideal fork, frame, or wheel mounted bike roof rack for you and your bike. Please note that you need a roof rack in order to mount a roof bike rack on your car. A Thule truck bed bike rack lets you take your bikes out on the road – easily, safely, and securely. Let us recommend the ideal bike rack for you! Missing a key? Need a replacement strap? We have all sorts of odds and ends saved up over the years. On the off chance we don't have what you need in stock, we can make sure to order the right part for you. Established in Sweden in 1942, Thule helps you transport anything you care for safely, easily, and in style so you are free to live your active life.